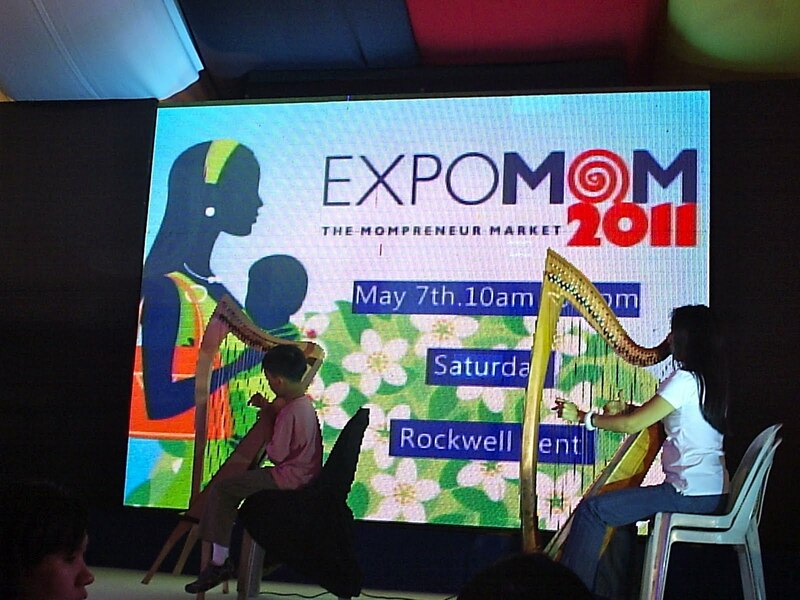 Mommies, Daddies, Kids with Yayas in tow all headed to the Rockwell Tent last May 7, 2011 for the Expo Mom Fair organized by Mommy Mundo. 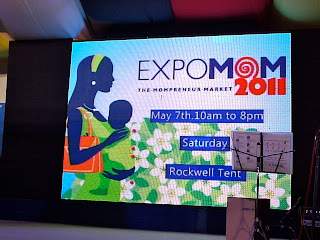 There were a lot of cute stuff on sale from babies and kids’ clothing to mommy accessories, maternity and nursing fashion, sling bags, skin care products and food kiosks as well. GSK Sponsored talk with the physician and host Ms. Ria Tanjuatco-Trillo. There were also glittering tattoos and face painting for the little ones. 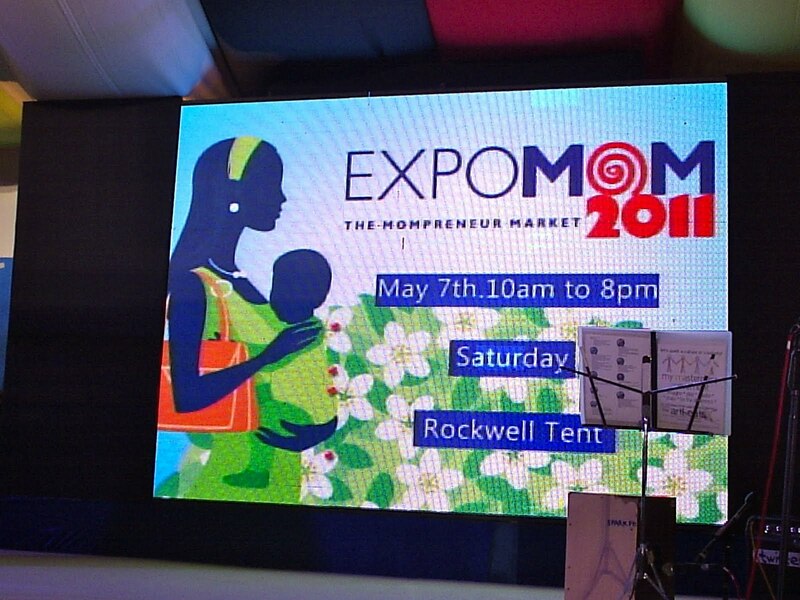 Freebies includes Photo booths and swag bags for early mommies filled with goodies such as Anmum in Hazel nut flavor, Clara Ole pasta sauce and Del Monte BBQ marinade sauce. Pinoy Laughter Yoga master Mr. Paolo Trinidad also talked on the wonders and benefits of laughter yoga the Pinoy way. Mr. Trinidad is bent on spreading it around the country in an effort to create good vibes contagious among the Filipinos. 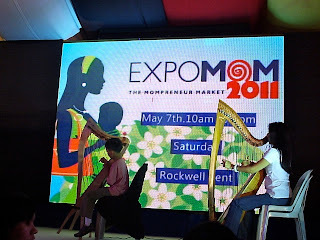 Mother and son tandem played harp before the audience. Glaxo Smith Kline also sponsored a small talk on vaccination with a guest doctor and pediatrician where mommies had the chance to ask questions and other concerns about their children’s health. My Masterpiece Movement of had a sample storytelling session and musical presentation where some kids were able to join them on stage. 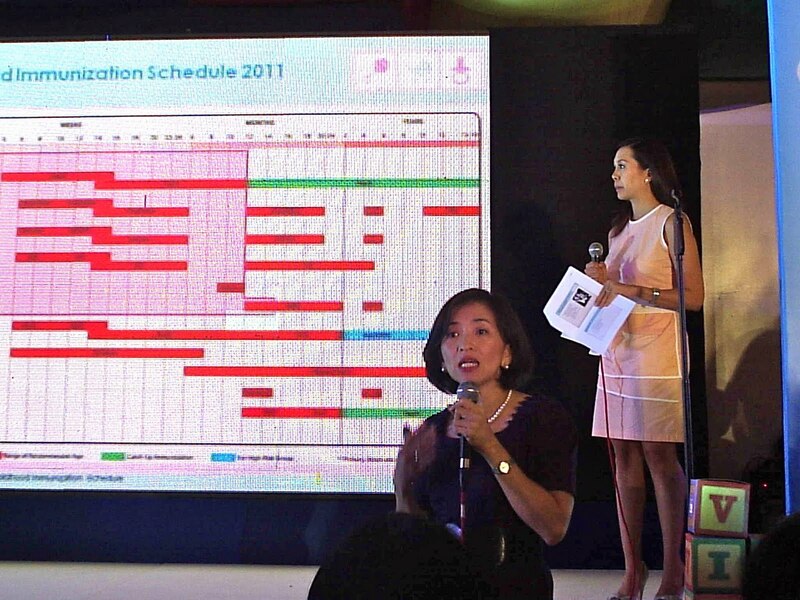 Hosting the event was television news anchor/working mom Ms. Ria Tanjuatco-Trillo. I personally had a lot of fun seeing fellow bloggers and Mommy Mundo members Lourdes Labii and Vix Parungao of http://jaredslittlecorneroftheworld.blogspot.com with their cute adorable little boys Lorenzo and Ethan Jared. Cheers for such a great weekend!